Who was Alertly made for? 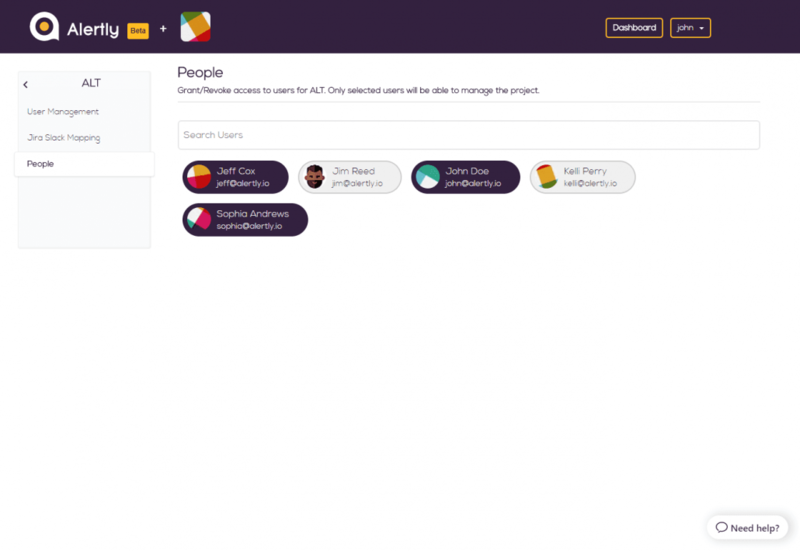 Alertly was made for and can be used by teams that are working with Slack and JIRA for making tem communication more effective as well as to run various project management purposes. Once I add Alertly into my account, should I expect to immediately start getting alerts? Actually, no. 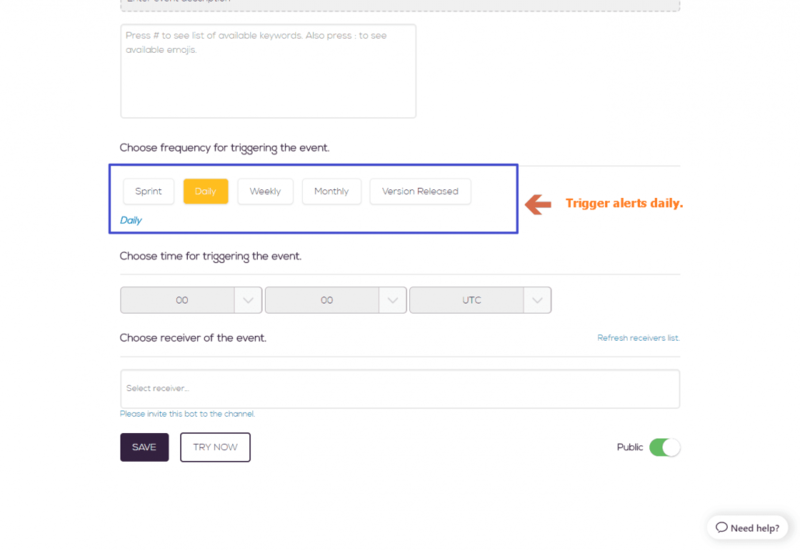 even after adding Alertly, you still will be not able to receive the alerts until and unless you connect your JIRA project. We have on-premises JIRA software. Is it possible for us to also connect our account? We are supporting both on-premises as well as cloud based JIRA software. However, in case you operate an on-premises JIRA software, you have to make sure that the Alertly IP address 139.59.52.174 is allowed to run and operate on your firewall. So does that mean that anyone can authenticate Alertly in JIRA? No. For you to effectively authenticate Alertly in JIRA, you must be an admin of a JIRA account. Only admins of JIRA accounts have the ability to create Application Links to authenticate Alertly with JIRA. How do I add projects to Alertly? After successfully authorizing your JIRA account, you can add projects from the very next project selection screen. You can also add more projects from the same JIRA account if you’re on the admin panel. I want to add another JIRA account. Is it possible for me to do that? How many projects or accounts I can add? Currently, you can only add up to 5 projects in each JIRA account and we have limit of 5 JIRA accounts. This basically means that you have the freedom to add up to 25 projects. 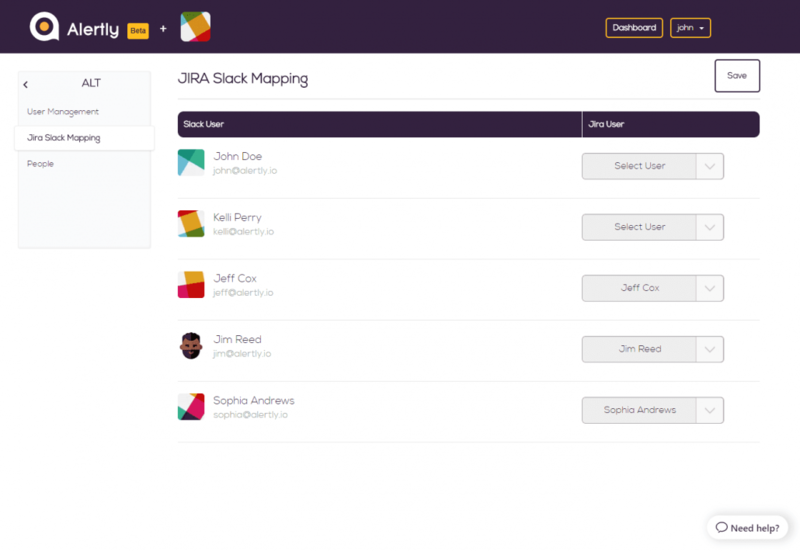 How JIRA-Slack users are mapped? 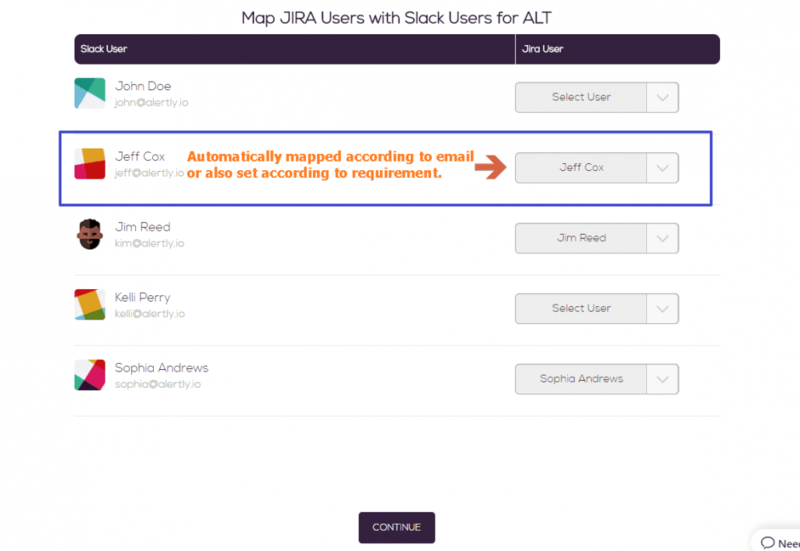 Alertly automatically maps JIRA users with their corresponding Slack users on the basis of their email-addresses. You can see this screen very next after user management screen. 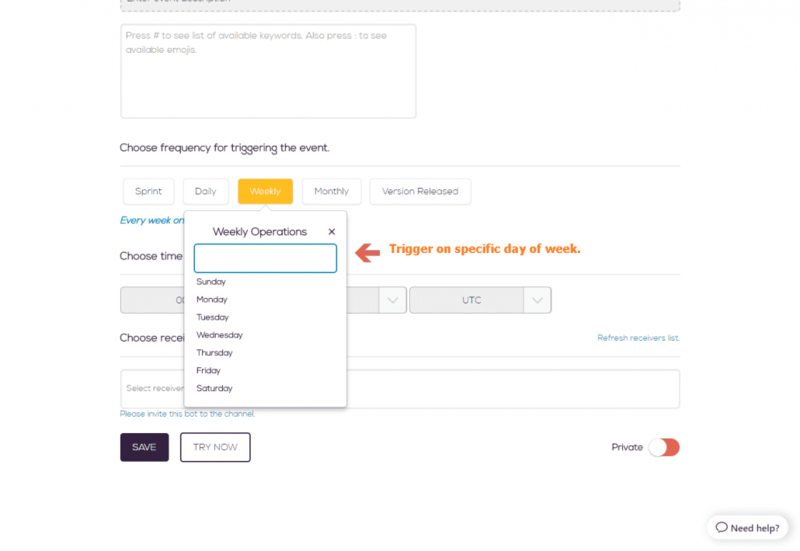 Also the user can configure these mapping later on by visiting Admin Panel ⇨ Project ⇨ JIRA Slack Mapping. How can I grant project access to other user? 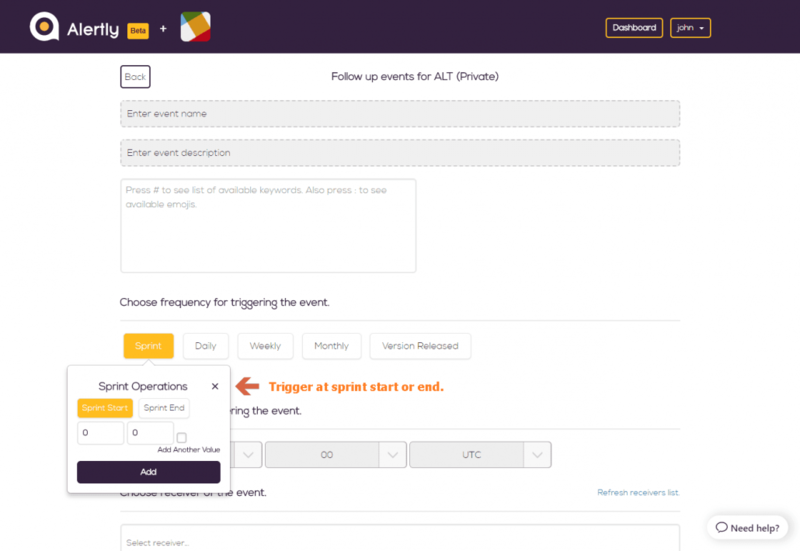 Alertly provides feature to view the events and other details of a project to certain users, these access can be decided by the user who configured the project. One can easily grant and revoke access to user whenever required. 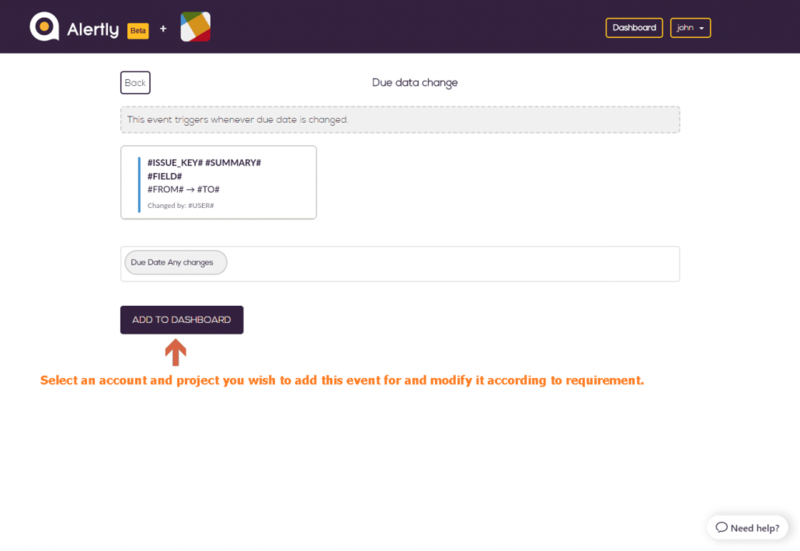 You can see this project access screen very next after Slack-JIRA user mapping screen. 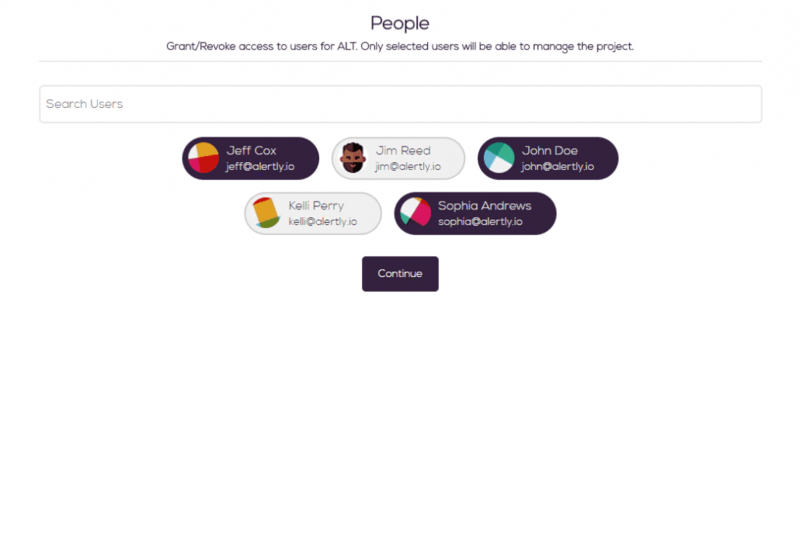 You can also grant/revoke access later on by visiting Admin Panel ⇨ Project ⇨ People. What formula should I use if I want to receive only mine issues/tasks? If you want to receive only your issues/tasks, then select your name with appropriate JIRA field like “Assignee = John” or “Reporter = John” and keep your name receiver list. If you are thinking to post same alert in channel or private group then make sure you invite @alertly bot in that channel/private group. Can I use aggregate functions in the message? Yes, you can use aggregate functions to get summarised report of the issues obtained from the formula. You can add aggregate functions in the message by pressing equal to (=) symbol and add functions from the list. Are you supporting emojis in the message? Yes, Alertly supports emojis also in the template. You can add emojis by pressing the colon (:) symbol in the template text and select an emoji from the list. Can I create a event that depends on related issues/tasks? 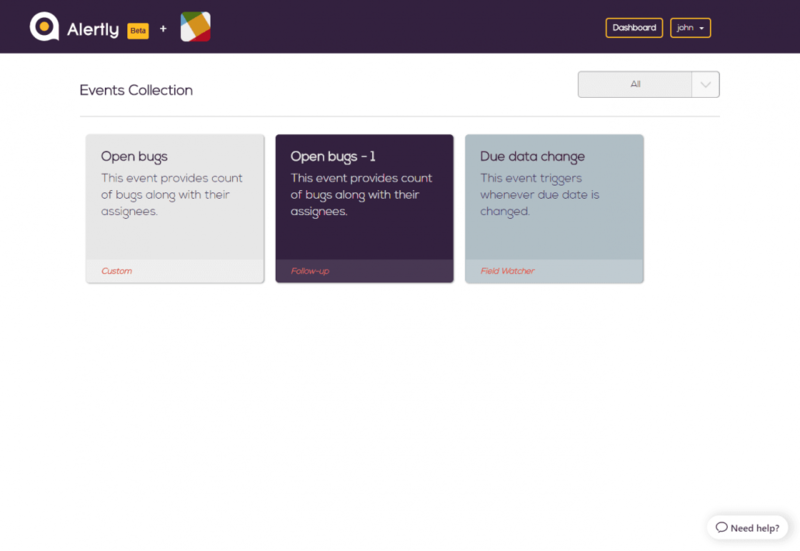 Yes, you can create event that depend on related issues/tasks such as when you want to find issues that have Bugs or Sub-tasks defined under them. 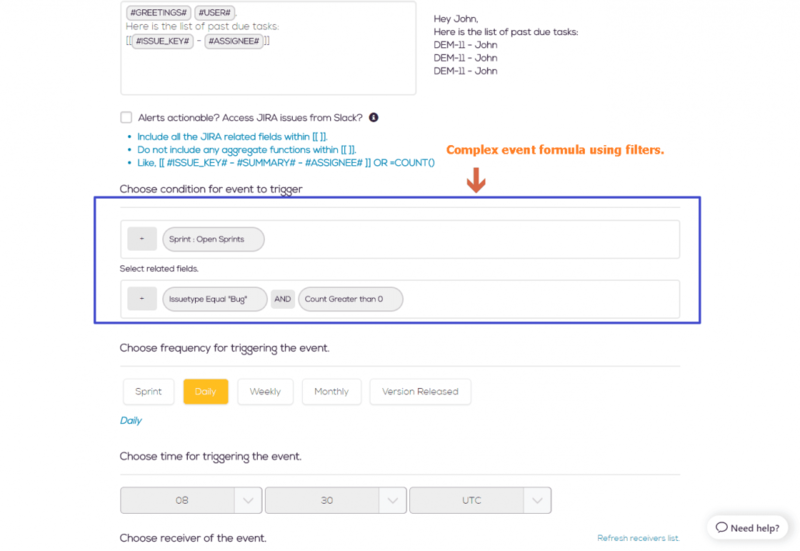 You can add these filters in the Advanced filters section under the main event formula in the event builder. It is available only with Custom events. 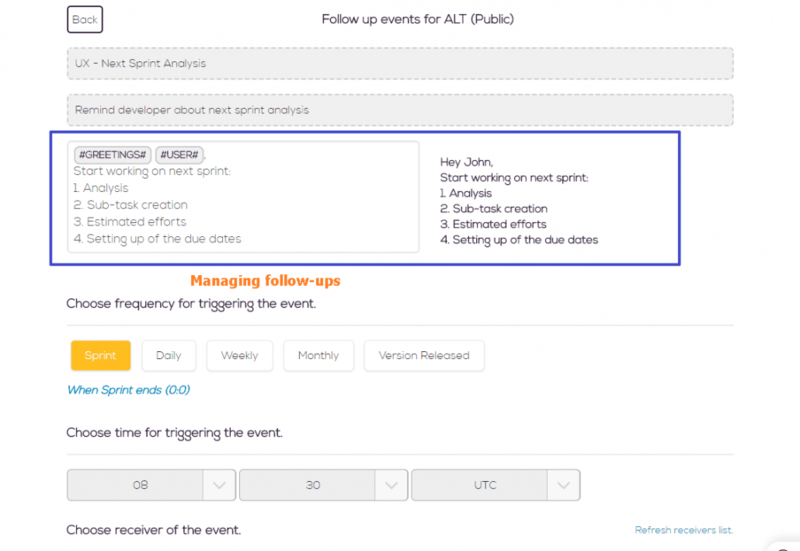 We are following agile methodology, can I configure alerts based on sprints? Yes, you can add alerts based on Sprint by just adding Sprint to your filters. 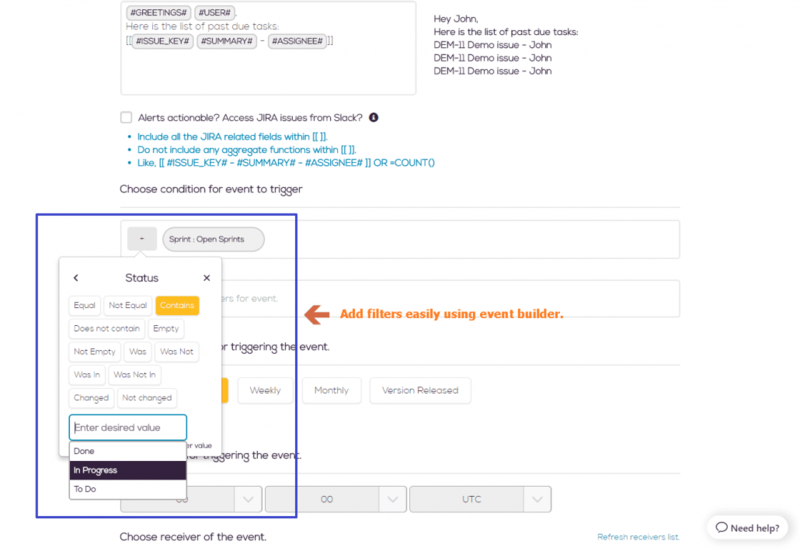 Can I change the attachment color in field-watcher events? 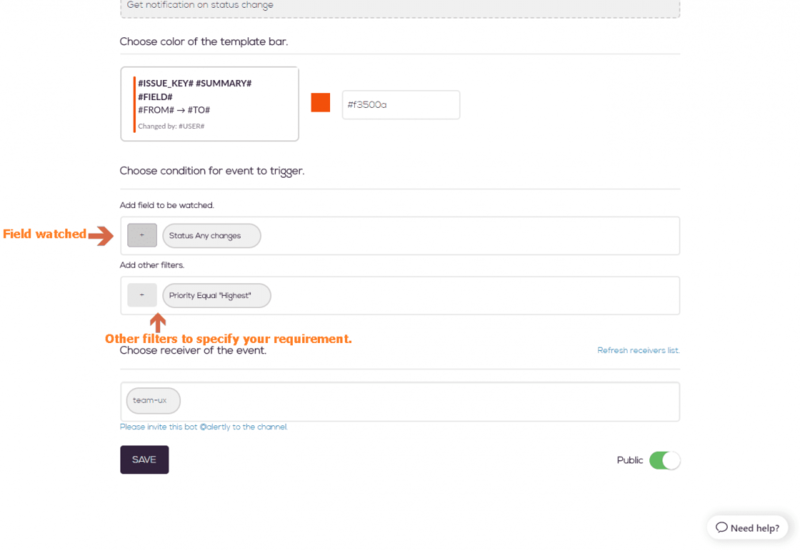 Yes, you can change the attachment color for every field-watcher event you create. You can change the color from the color picker and also see how it will look like by seeing the affect in the template on the left. 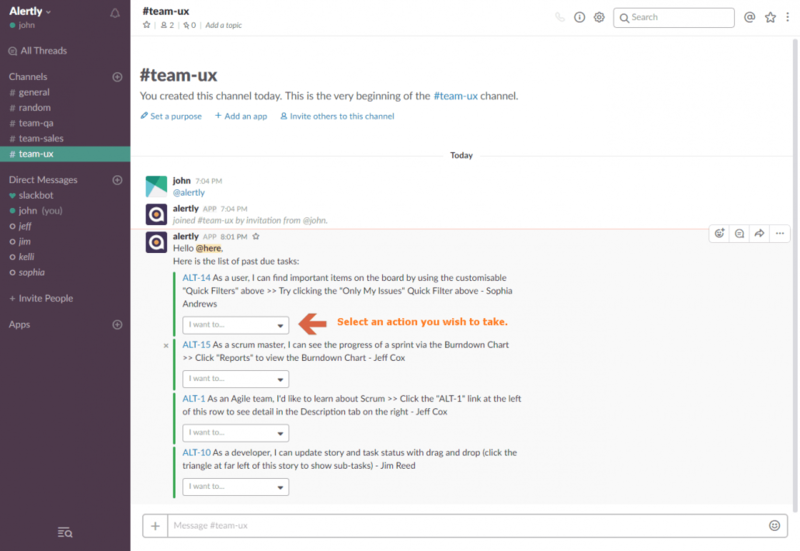 Is it possible to took action on JIRA issues/tasks from Slack messages? 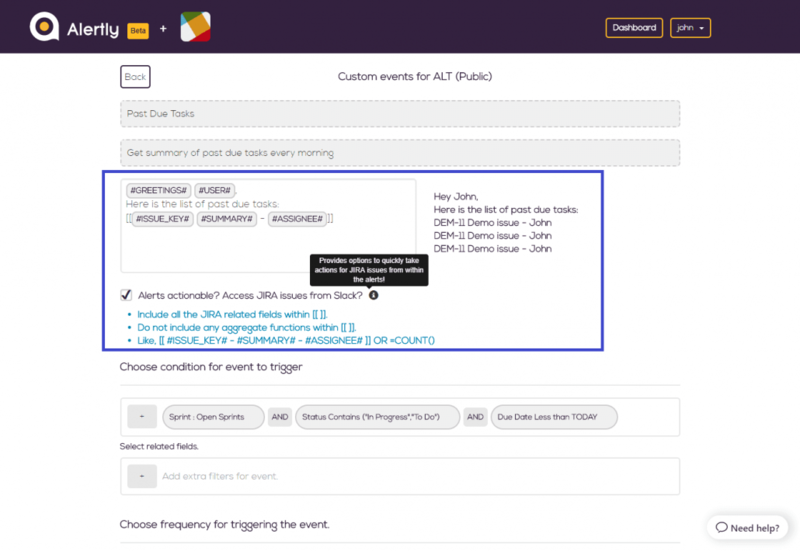 Alertly provides extra features to make alerts interactive (custom events only). 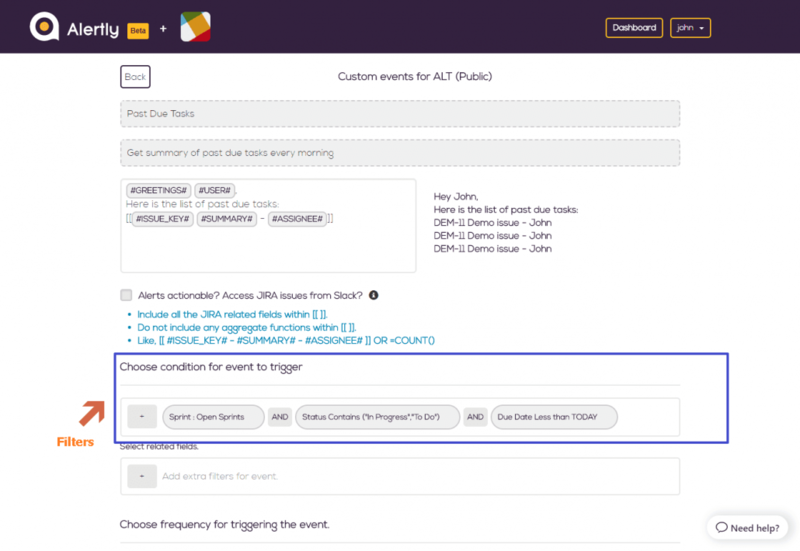 The user receiving alerts can update the issue fields like status, due date from the Slack itself. 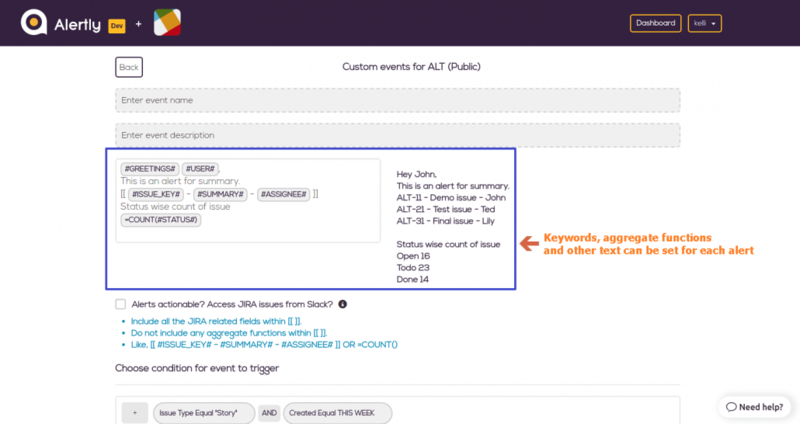 Actionable alerts will help users to take actions on JIRA issues from their Slack itself. I want to get all alerts in my local time, is it possible to select local timezone? 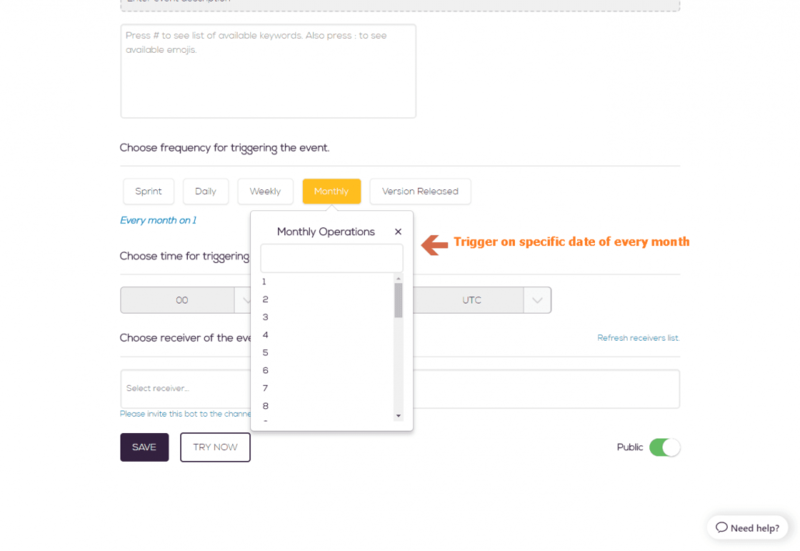 Events can be triggered at the user defined timezone also. 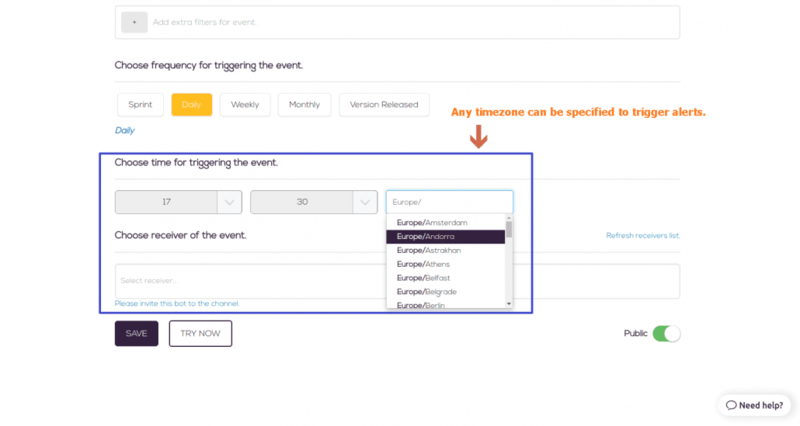 User can set the timezone according to which they wish to receive alerts for that event. I want to send alerts in public channel as well as in direct messages, how can I do it? 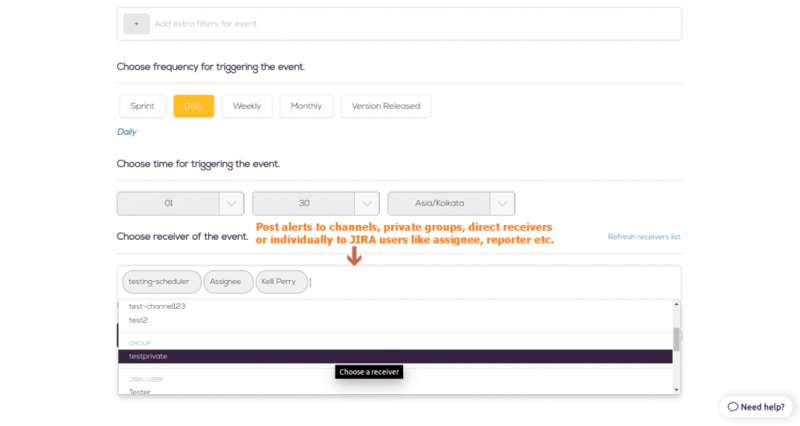 Event alerts can be sent to direct users, or channels or private-groups or individually by JIRA users. Sending alerts to any JIRA user field will send alert containing only those JIRA issues which the user is related to. 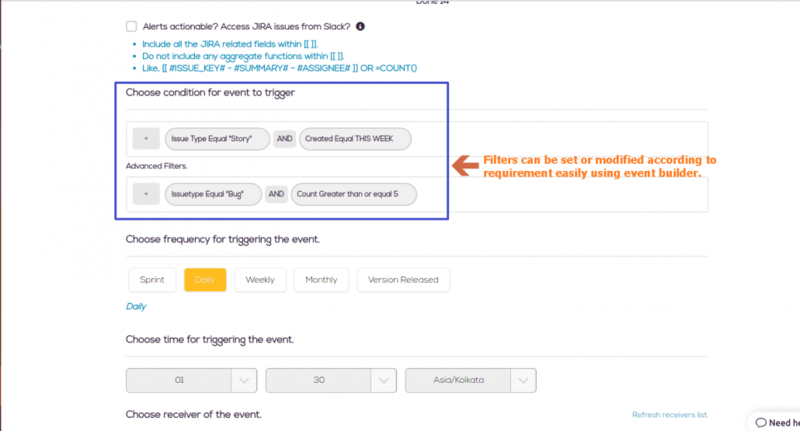 How can I reconfigure JIRA projects again? You can reconfigure JIRA projects again by visiting Username ⇨ Admin Panel ⇨ Select related project. You can then change any of the settings for that project. 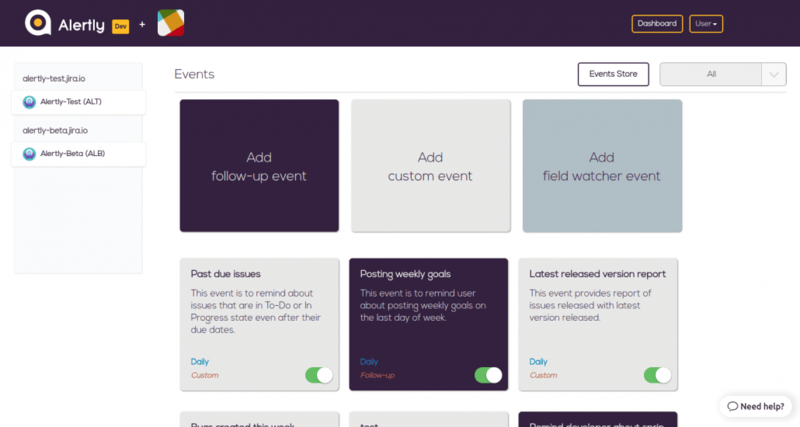 This screen provides user features to add new project within a JIRA account or add another JIRA account. 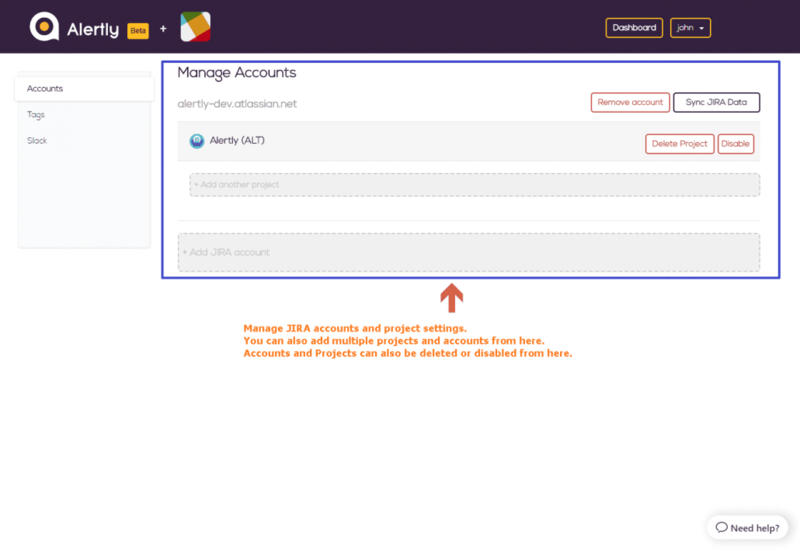 It also displays the list of accounts and projects configured within the Slack account. User can disable project to disable all its events or delete projects and accounts. The removed projects can be added again by adding new project within the account. It provides option to re-authenticate the account if the token is expired or invalid. User can also update the JIRA fields or users if added after configuring the application link. 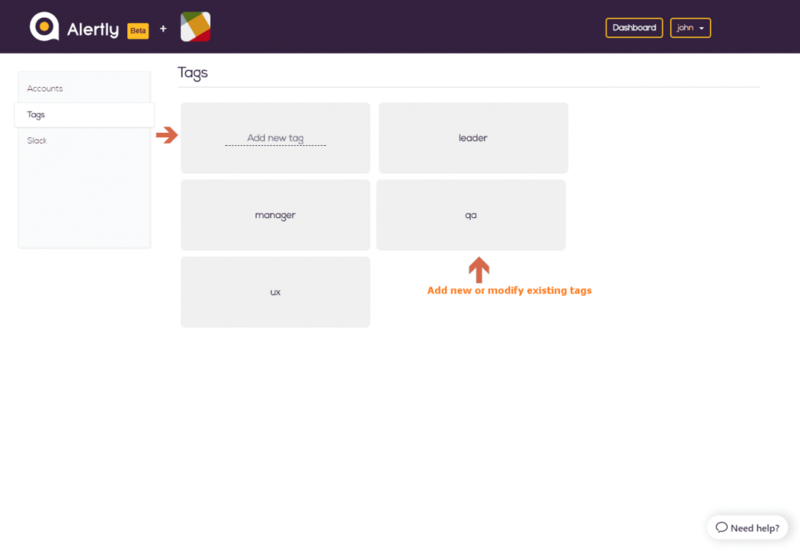 It also provides options to define new tags as well as modify the existing tags. 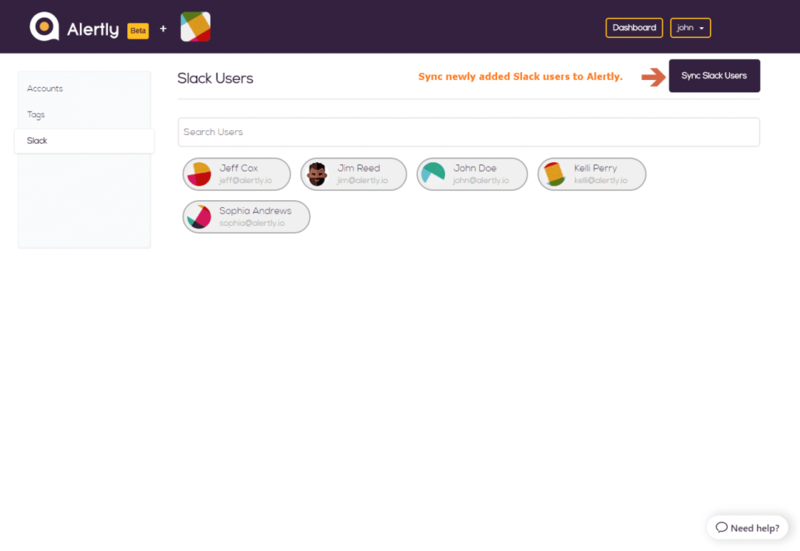 The logged in user can sync the Slack users directory if new users are added to the team. You can visit this by clicking on the Username ⇨ Admin Panel on the top right corner. Which are the Project Settings available in Alertly? 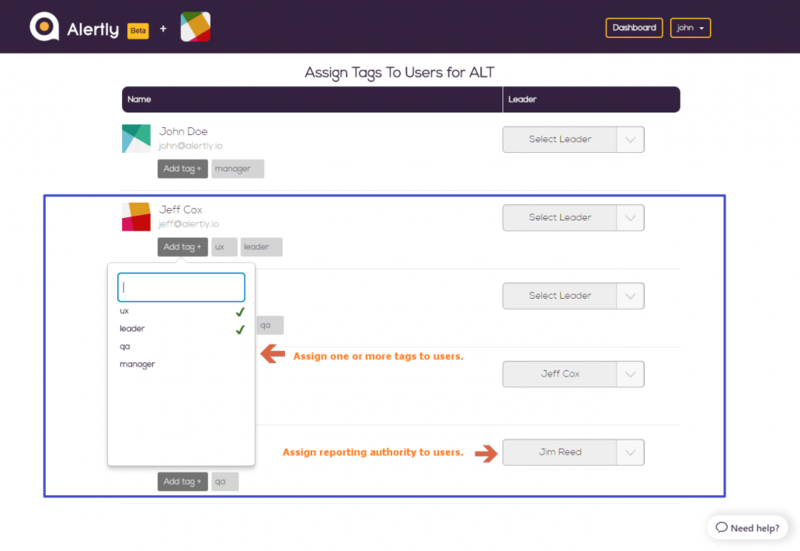 Whenever user clicks on certain project within a JIRA account in the admin panel screen, they can edit or view the currently configured settings for the project. You can visit this by Username ⇨ Admin Panel ⇨ Click on any project you wish to view. 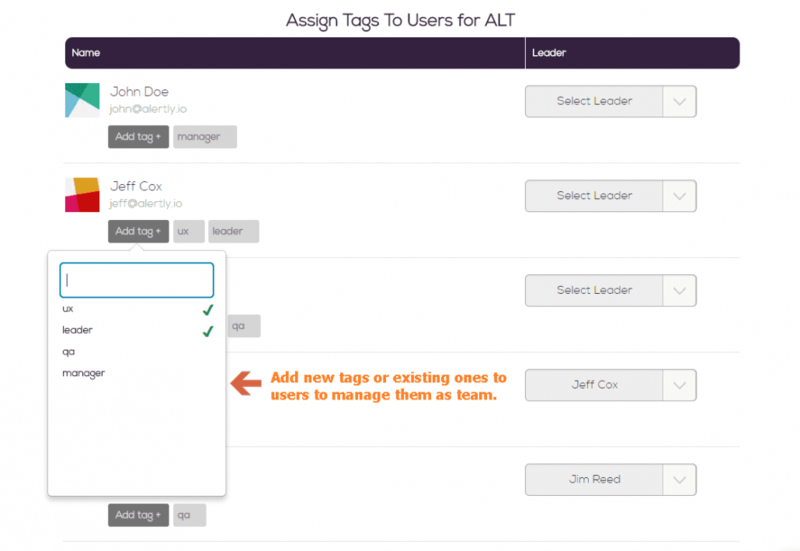 User can modify the tags and reporting heads for each user. User can also modify the corresponding JIRA user if required. Users can grant or revoke access from certain users so as to hide the events and project settings from that user.